Swimming in a cool, spectacular lake on a warm summer day is a relaxing and pleasing experience, but whirling in a bright pink lake is whole other kind of thrill. Most of them are safe for humans and animals, but some only seem inviting. Microbes, and more specifically, the single-celled organisms known as halobacteria, are responsible for the unique color of some lakes. While most other life would be unable to stand living in such a harsh, salty environment, these tiny “extremophiles” thrive in high-salinity environments, according to Mother Nature Network. 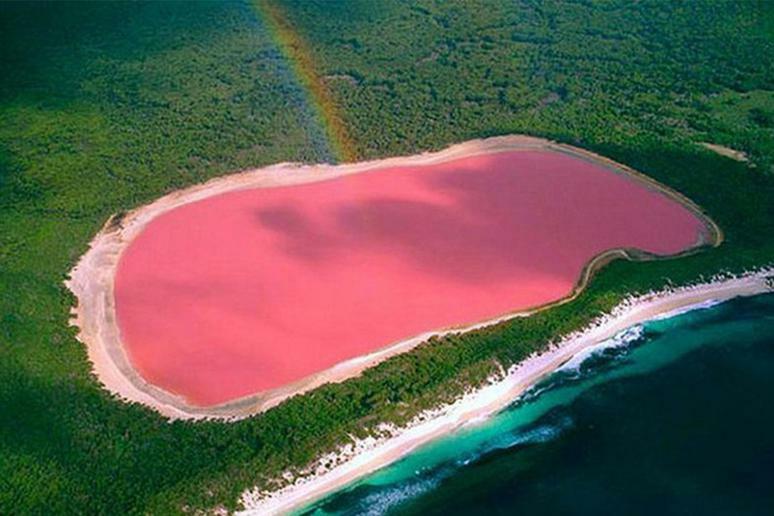 While Lake Hillier appears bubble gum-colored from the air, the water shows a less dramatic pink hue when viewed from the shore. No one is sure where the color comes from, but scientists have several good guesses. 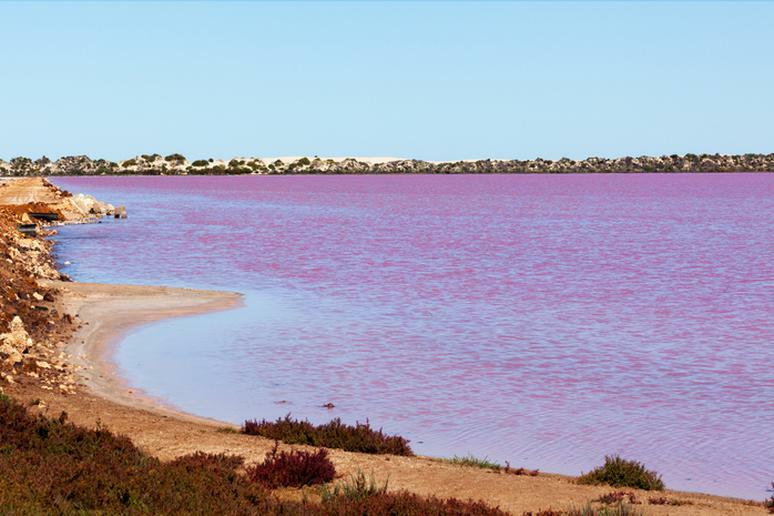 As with other pink salt lakes in the region, the color could originate from the organisms Dunaliella salina and Halobacteria. Alternatively, its color could be due to halophilic bacteria’s that live in Hillier's salt crusts. Either way, the lake is safe for swimming. 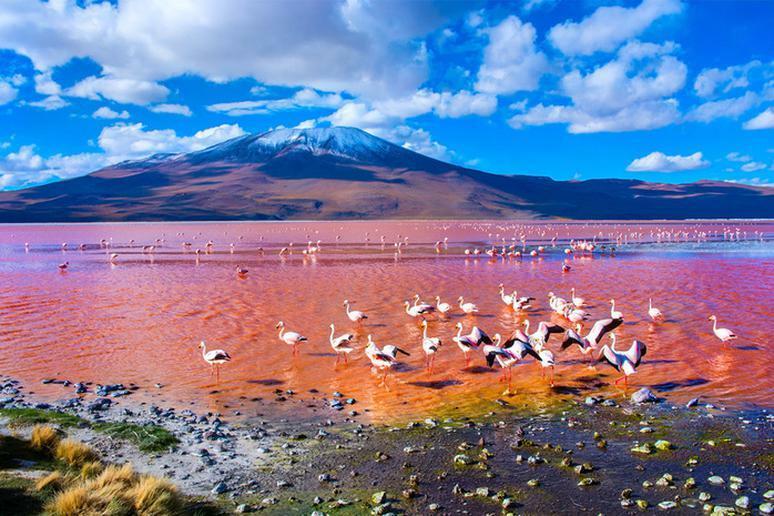 Lake Hillier has been identified by BirdLife International as an Important Bird Area because it supports at least 14 species of native and migratory birds. The lake is near-permanent with infrequent periods of drying in the fall. 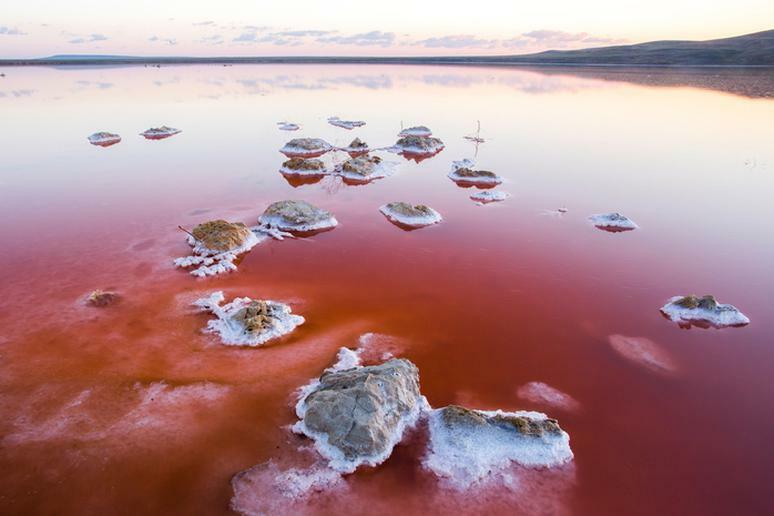 The pink color of the salt lake of Torrevieja is caused by the presence of salt-loving archaea Halobacterium and Dunaliella salina, a single living organism that can exist in water with a high salt concentration, according to Spain Holiday. Torrevieja started as a small but bustling fishing village in the 18th century. Tourists and visitors enjoy seeing the Flamingos. About 2,000 of them can be seen on the lake during the breeding season. The lake is in the Cap Vert peninsula of Senegal. Lac Rose, as it is known by locals, is separated only by a few narrow dunes from the Atlantic Ocean. The lake salt content is very high and compares to that of the Dead Sea; it even exceeds it during the dry season, which is from November to June. This is also when the pink color is most visible. The lake is just about 1.1 square miles. Dusty Rose Lake is different than other pink lakes in the world. It’s not salty at all and its color is not due to algae. 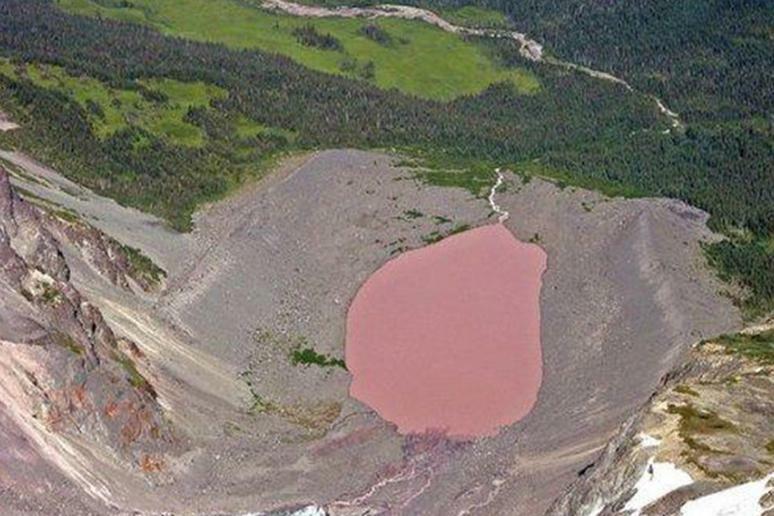 The high mountain lake is formed by glacial melt waters, and the pink color is the result off a mineral excess from the adjacent glacier and the unique composition of the rocks. Locals call it the Red Lake. It is very off the beaten path and the country does not really advertise it, because it’s used to extract salt, ever since 1813. Visiting the lake is free but there are no tours. It is fenced off and security guards can be seen all around it. Tourists literally go to just take a few photos, admire the color for a few minutes, and leave. Getting there takes a bus ride and a 1.2-mile hike with no shade. Lake Natron is a shallow salt and soda reservoir in Tanzania, near the border with Kenya. 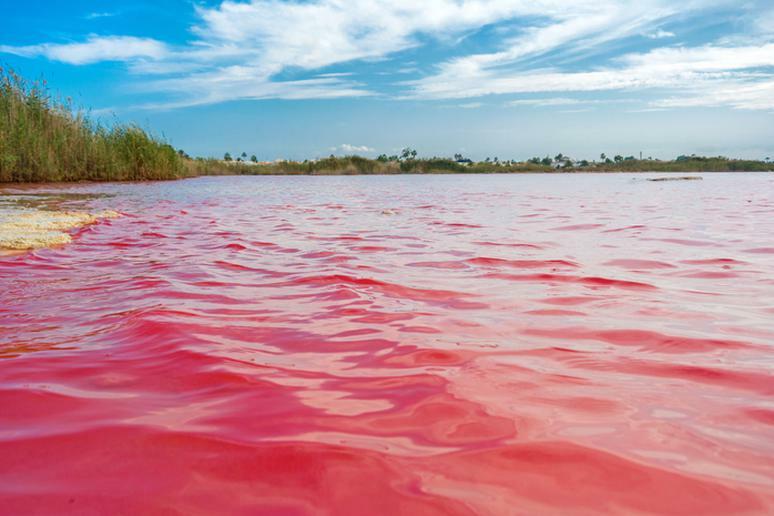 The pink color is due to the salt-loving creatures which thrive there during the dry season. 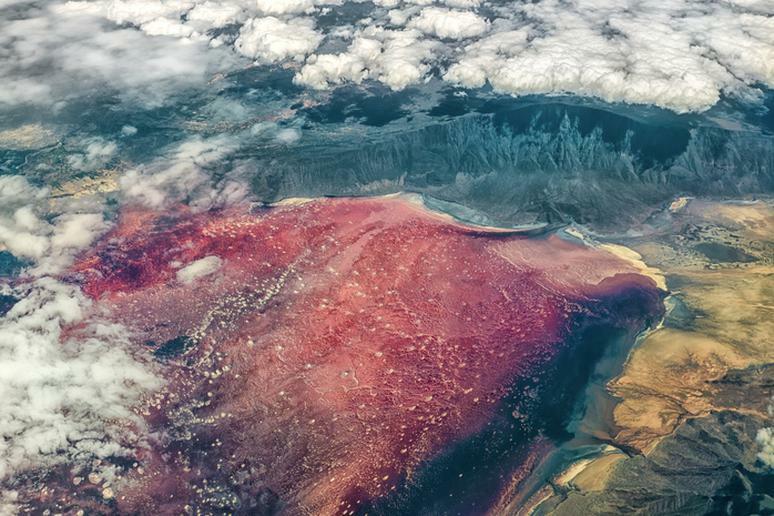 Unlike other pink lakes, Lake Natron, which can also appear red, is extremely dangerous. The temperature can reach 140F and its pH level is 10. However, it is a safe breeding place for flamingos. Laguna Colorada is often referred to as the Red Lagoon of Bolivia. The lake is a shallow salt lake at an altitude of 14,000 feet within Eduardo Avaroa Andean Fauna National Reserve. Dotted with white islands of massive borax deposits, the nearly 15,000-acre salt lake is less than 3 feet deep. The pink-reddish color is due to a variety of algae. Most of the surrounding landscape is desert rocks and salt deposits. The iconic salt flats of Salar De Uyuni are not far. 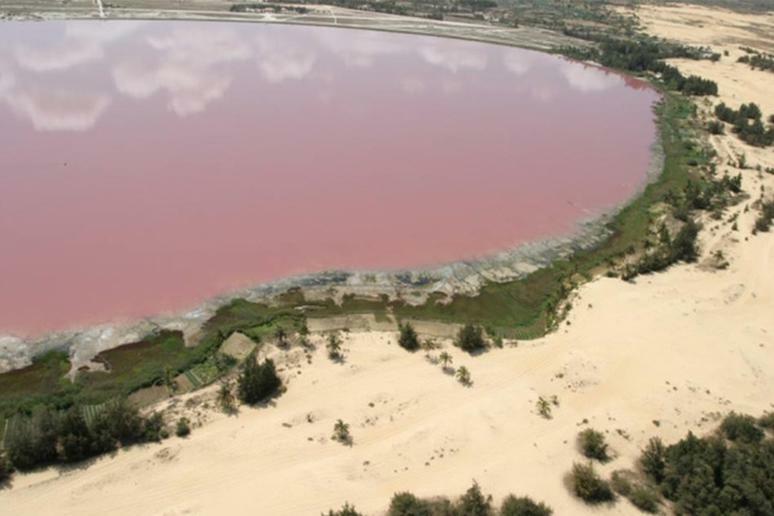 Hutt Lagoon boasts a pink hue created by presence of carotenoid-producing algae Dunaliella salina, a source of ß-carotene, a food-coloring agent and source of vitamin A, according to Australia’s Coral Coast. Depending on the season, the lake, which is about 45 miles, changes through the spectrum of red to bubble-gum pink to a lilac purple. The best time of day to visit is mid-morning or sundown. 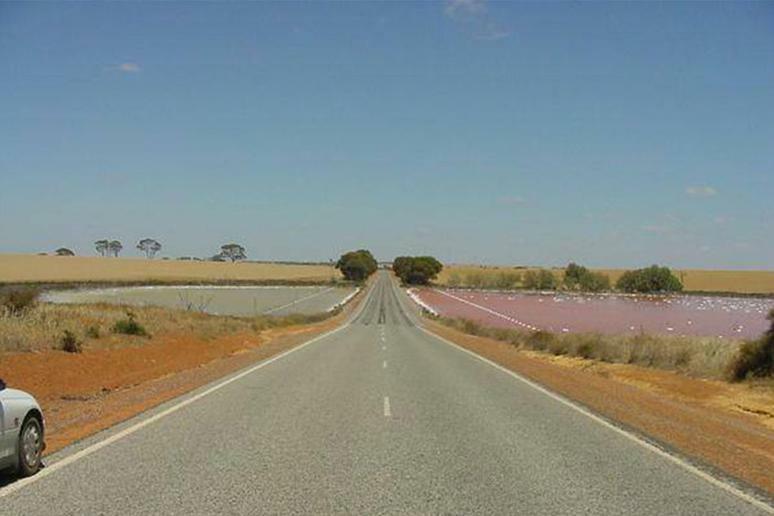 The Pink Lake in Quairading is regarded locally as a natural phenomenon, the local government says. At certain times of the year, one side of the lake becomes dark pink, while the other side remains a light pink color. During the summer, evaporation causes the water level to drop and salt builds up on the fences and trees. When the water returns, the salt causes the pink color. 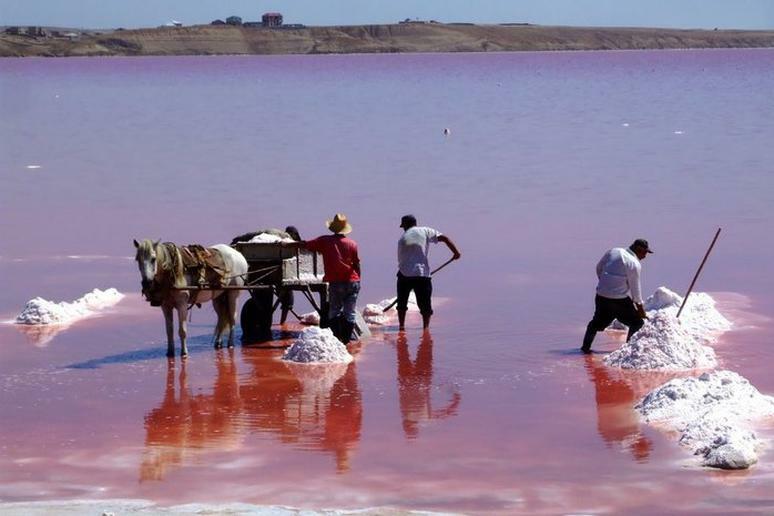 The saltiest lake in all of Crimea is also the pinkest of the pink and teeming with life, according to Atlas Obscura. As the water evaporates and the salt content rises, the microscopic algae and brine shrimp that gives this lake its ever-darkening pink hue flourishes. The lake is usually about 3 feet deep. The water stretches across 4.5 miles and is just over a mile wide.